Physical security is becoming a critical priority to businesses due to the increase in violent crime and terrorism. More and more companies are adding security guards to protect their employees and residents. Now there are affordable, cost-reducing state-of-the-art robots that can be added to your property to help increase security coverage while dramatically reducing costs. Very often companies will add robots to their human security guard team to increase coverage while reducing costs. This is one of the new robot Security Guards (watch 15-second video above) patrolling Microsoft's Mountain View California Campus. I recently attended an early morning meeting at the company. As I got out of my car, I came face to face with the robot - it was looking at me and I was looking at it. After about 15 seconds of checking me out, it turned around and continued its patrol of the parking lot. I quickly followed behind it for a minute and recorded the robot stopping again. 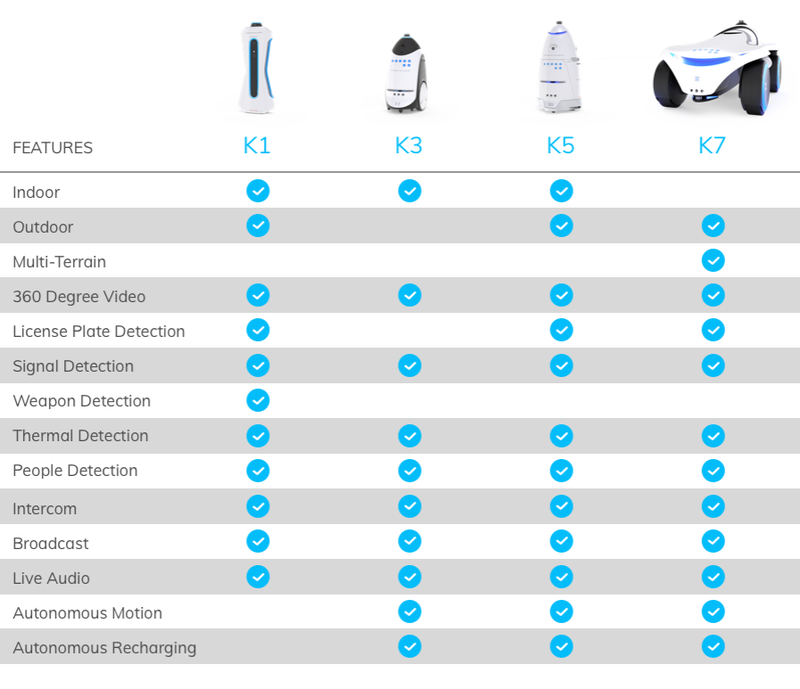 The following chart shares some of the amazing features available today in the latest Robot Security Guards. One Security Guard Robot, 24 hours per day and 7 days per week, costs about $6 per hour including remote human monitoring. That adds up to $60,000 per year. An unarmed basic security guard will cost between $15 - $20 per hour or approximately $200,000 per year. Most companies use a mix of robot security guards combined with human guards. In many cases you save 50-percent on every robot you deploy versus another human security guard. The use of robots in business continues to accelerate. This is a great example of how you can save money and improve security by using the latest robotic technology. 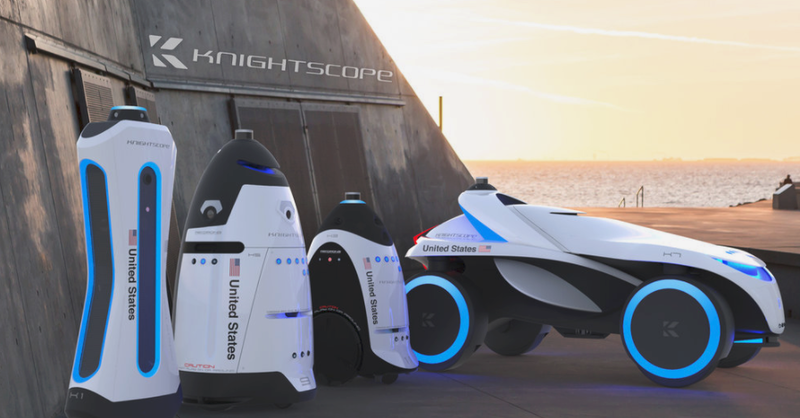 Note: We highlighted the Knightscope robots as examples of business technology available today. We were not affiliated or paid by Knightscope for this article. Please contact us if you have more questions or want to discuss Digital Transformation in your company to lower costs and increase business.